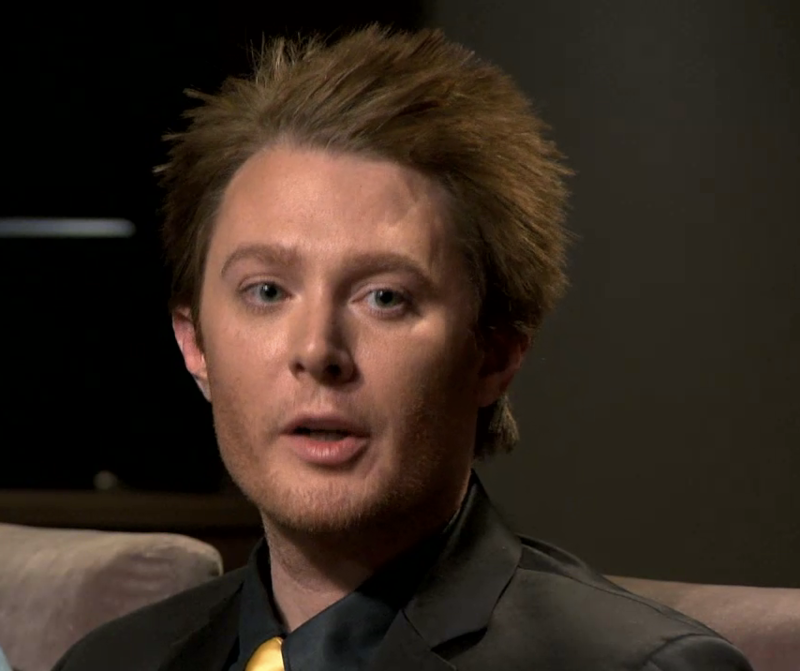 Fans of Clay Aiken woke up on Monday to many reviews and discussions about his appearance on Celebrity Apprentice. As the day progressed, many pictures and screencaps were posted. There are some great pictures. Thank goodness there are great Clayfans who work hard to post and share their pictures with the entire ClayNation. These particular screencaps came from Clayversity. Hopefully, we will have some more information tomorrow. And…thanks for your patience on Monday as I was flying to Oregon. I am here to help my Brother-In-Law. I played Steadfast for him and he loved it. He was a professional musician for many years and he is very picky! Adorable photos of Clay, he's so smart on celeb apprentice, he knows just what to say and humble too, can't put one over on him, can't help but love him, way to go Clay, hang in there, you're doing great!! Excellent screen caps! Thank you so much for all you do here at CANN! You gals are the best!!! Once again, thank you, you're amazing; so nice of you to keep us supplied even tho you've been traveling and helping family. Your family is lucky to have you; you are a real team player! LOL. So glad your brother-in-law loves Steadfast! Thanks for all the lovely pics of Clay, Musicfan. We are getting so many new pics, and I love it. Good luck with helping your brother-in-law. I'm sure it hasn't been easy. How cool is it that you played "Steadfast" for him, and he loved it… Truthfully, there is nothing on that album, that isn't beautifully arranged and sung. It's a masterpiece…it truly is. It will stand the test of time. Thanks, Musicfan, for always hooking us up with the goods! Love the pictures, musicfan. Take care in your travels. Thanks so much for these many beautiful photos of Clay. I loved seeing him wear that green sweater again!! Loving all the great pictures from Capp. Clay looks good in all of them. As soon as Clay came out in that chartreuse sweater..I recognized it. And, it still fits him too. He wore that at one of his Christmas Concerts. He looked so cute. Glad that your brother-in-law liked "Steadfast." He has good taste. Error: Error validating access token: Session has expired on Tuesday, 21-Aug-18 16:13:01 PDT. The current time is Monday, 22-Apr-19 07:10:49 PDT.